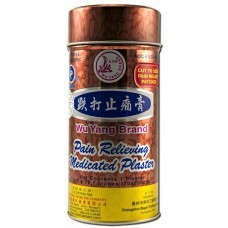 This is truly an amazingly effective pain relief plaster that is sold coiled into a can. 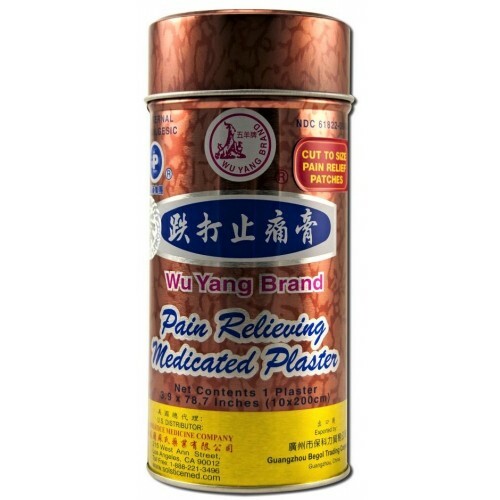 It will relieve pain and inflammation and is sold in one large plaster measuring 3.9 x 78.7 inches or 10 x 200 cm, which equals a 20+ day supply for $12.99. 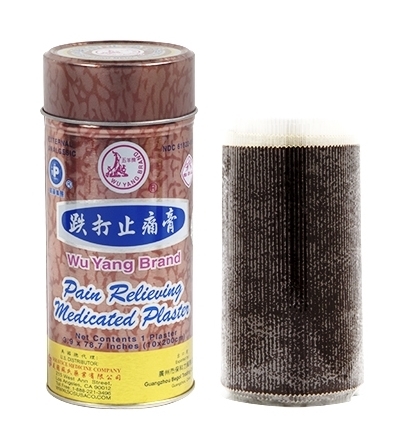 This herbal plaster will temporarily relieve aches and pains of muscles and joints due to simple backache, arthritis, strains, bruises, and sprains. The active ingredients are Menthol 16% and Methyl Salicylate 10%; the inactive ingredients are Safflower, Dandelion, Rhubarb Extracts, and Myrrh Gum Mass. Long-term use is safe and effective.